Description: FrequencyCast launched in April 2006. This online radio show is produced in the UK by the team that bring you the FileSaveAs and Radio and Telly websites. 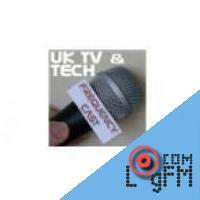 Frequencycast is a UK technology podcast that takes a look at what's new in the world of TV and Radio technology, media news and gadget reviews. The show's presenters are Carl (a certified technophobe), and Pete (the resident gadget Geek). Our shows are produced and compiled once a month, and listener feedback is an important aspect of the shows. The FrequencyCast Team aims to cover digital TV, Internet services, gadgets and future entertainment products. Recent shows have featured topics such as: Slingbox, BT's Home Hub, BT Vision, DAB radio, Digital Recorders, VoIP, Top Up TV Anytime, TV on mobiles, MP3 players, the Digital Switchover, Sat Nav, Sky Digital and the Nabaztag. FrequencyCast won a European Podcast Award in 2010, and can also be heard on Internet radios as well as a growing number of UK radio stations. Advertising: . http://meridavelo.ru/ велосипед мерида juliet - merida juliet 20 2014 велосипеды. , http://aaron36.ru из чего состоит создание сайта интернет магазина. At LogFm.com you can listen to any of the 45,000 radio stations online. We have made it easy for you to find your favorite radio, listen to the music you like, find the best new songs, listen to the latest news, etc. Simply type the station name in the search box and enjoy your choice. Listen to the radio online at LogFm.com. Our E-mail: info@logfm.com. Live Radio FrequencyCast UK Tech. Rock and pop music, to listen to the latest news online.All rights reserved. 2009-2019 © LogFm.com.